Beloved fairy tale characters take to our orchards, performing sweet vignettes for children perched on a roving tractor-drawn hay wagon. In seven lively scenes, kids partake in the classics, warning Little Red of the approaching wolf, watching Humpty Dumpty have his great fall, helping Dorothy and The Scarecrow along the yellow brick road and much, much more. Fee: $7.00 per/person (infants ride free). Proceeds help finance the Sanborn Regional High School Drama Club’s yearly sojourn to The Big Apple for a Broadway show. 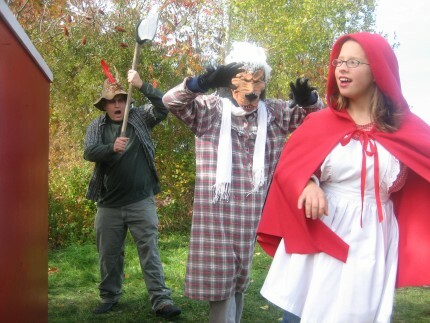 Come support the students and enjoy some good, old-fashioned Halloween fun. What better way to end a great season then to….PLOW! 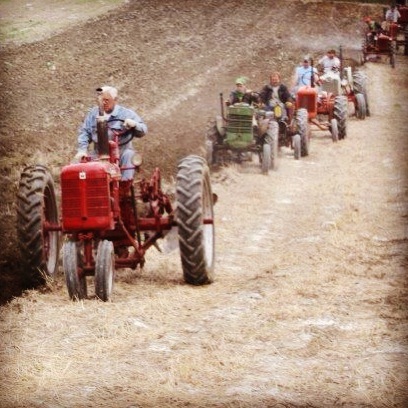 We’re very pleased to once again welcome the East Coast Antique Tractor Club for our 7th Annual Applecrest Plow Day. An army of old-timer tractors will be helping us get ready for winter, ripping and roaring and turning earth all the farm over. 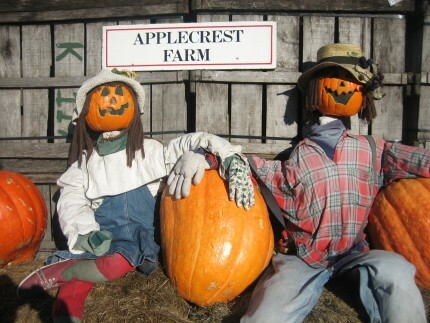 So, gather little Jack and Jane and join us here at the farm to revel in the fall foliage and see how they used to do it. See you in the orchard!